Legendary developer Shirgeru Miyamoto doesn't think Mario Kart 7's kart customization options add much to the core experience. 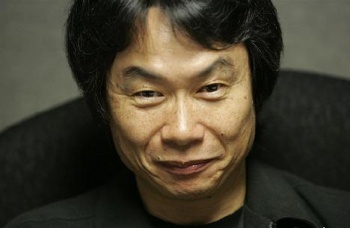 According to an interview with Famitsu, helpfully translated by the wise sages over at 1Up, Miyamoto was initially very much against the new features, which allow players to unlock new parts for their karts. "I was actually pretty well against some of the customization features of the game, though. It can be fun to win money for racing and use it to buy parts and such, but I didn't think that had much to do with the core fun of the series," he said. He eventually relented when it became apparent that the features would be added "on top of a solid control and gameplay foundation." Mario Kart 7 is being co-developed with Metroid Prime developers Retro Studios. It's the third Mario Kart game not to be developed entirely in-house by Nintendo. While Retro Studios has made some fairly brave design decisions in the past, the aforementioned Metroid Prime being the most obvious example, they're playing it straight with Mario Kart 7. "Sometimes people yelled at me to look at things more closely," Miyamoto noted "but like I said, the core of Mario Kart is pretty solid by this point and I think it's safe to have it evolve in a pretty staid and traditional manner. The basic message here is 'Mario Kart's been powered up for the Nintendo 3DS,' and I think the online upgrades in particular are pretty neat. A lot of time was spent on how to get all the individual components working together -- Wi-Fi and Street Pass, local and Internet play." Mario Kart 7 will be released on December 2nd for the 3DS.